Update: Microsoft has provided a fix. In applications, graphics or controls are not shown or shown distorted. You might for example only see an empty background with missing foreground graphics or missing controls. Or you see the Desktop or parts of a different application in parts of the currently active application. These graphical problems only appear on secondary monitors, not on the main monitor and possibly also depending on the position of the application window within the secondary monitor. An application window is positioned so that it is within the area of the screen that has negative screen coordinates. This application window uses the Windows API function “StretchDIBits” (or a variant) to draw a graphic on a device context directly linked to that window. In Windows, when you have multiple monitors, one of these monitors becomes the main monitor. Screen coordinates are relative to the main monitor. So, screen coordinates can be negative when a monitor is positioned left of or higher than the main monitor. 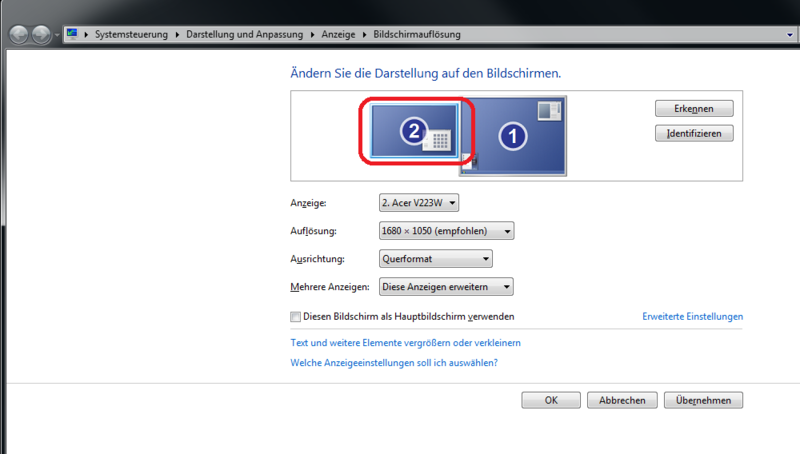 You can use the Windows control panel to change which monitor is the main monitor and to position the secondary monitors relative to the main monitor. Consider the following setups. An area circled in red marks an area with negative screen coordinates where these graphics problems will occur. A secondary monitor arranged left of the main monitor causes the graphics problems. A secondary monitor arranged higher than the main monitor causes the graphics problems. The actual problem seems to be within the Windows API Function “StretchDIBits”. After the security update, when this function is used to draw graphics onto a part of the screen with negative screen coordinates, it fails and 1. does not actually draw the graphics on the screen and 2. actually returns the error code 0 to signal something went wrong. Microosft will have to fix this issue. I could reproduce the issue in a very simple Delphi application. The application consists of a form with a TPaintBox. When the form is moved, it calls Invalidate on the form to ask Windows to repaint the form. In the OnPaint event of the paint box, a bitmap is painted on the paint box using StretchDIBits. When running the application and moving the form, when the form is within an area of the screen with only positive screen coordinates, the bitmap is displayed and the label shows the expected value “300”. When the form is moved within an area with negative screen coordinates, the bitmap vanished and the label shows the function StretchDIBits returning the error code “0”. 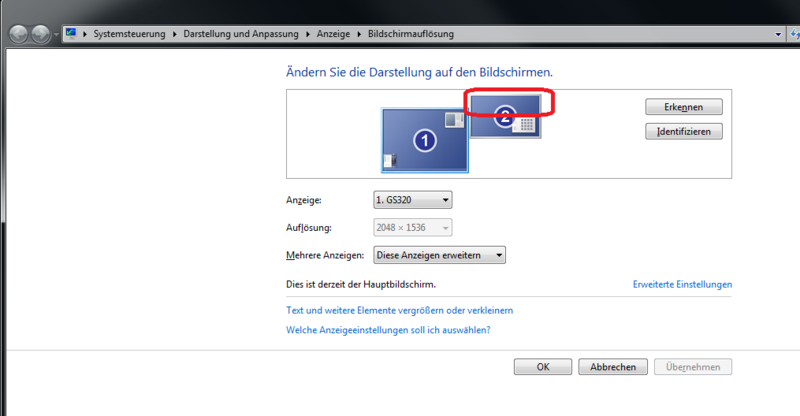 This entry was posted in Programmierung and tagged Bug, Graphics, Microsoft, Windows 7 by NineBerry. Bookmark the permalink. We seem to be seeing the issue even on users who are full admin. An additional problem we are seeing is applications launching off screen. You can see them in the toolbar but can’t reposition, move , resize, or full screen them. You must deactivate all but the primary monitor to find it. This is a fantastic write up. Thank you. @william: Thanks for the nod. Fixed. Any chance Microsoft will fix this appropriately with a new KB update, or is the issue expected behavior as a result of the security fix? Looking at Microsoft statements in the KB4034664 website for known issues they are silent on a fix for this. They are aware of the issue. So I rearranged by Quad screens so my main screen is in the upper left. This solves the issue for me. I guess I will adapt to my new arrangements. great articles even though the negative screen is not 100% correct. I confirmed removing both update 664 and 679 has resolved the issue. Great write-up. I laughed out loud that the first option for a workaround is to upgrade to Windows 10. 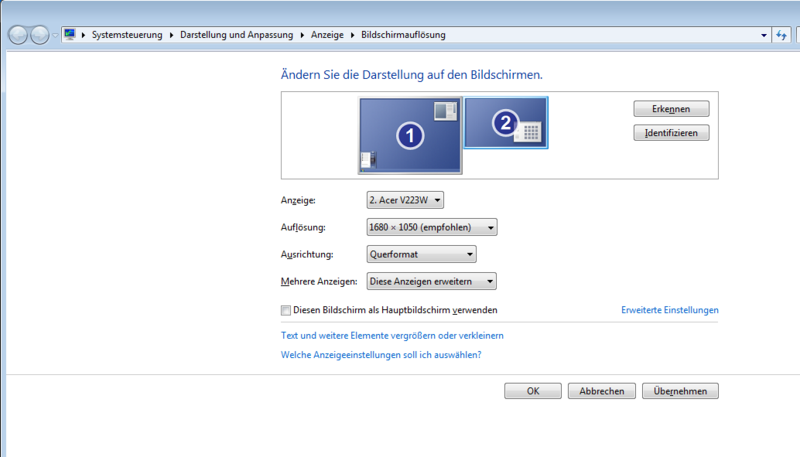 Windows 7: KB4039884 fixes dual monitor rendering bug (or the German version linked within the article – there are side effects. It may have been a hiddend bug that always existed. i used to use starcom adapters in my work. and about half of them we could use nothing on the second screen. looking at this it might explain why or a similar issue. since updating the drivers never fixed it. admin would not make a difference for a graphics bug. will follow to see what else happens. and next time a starcom device comes in will try the monitor workaround to see if it goes away.